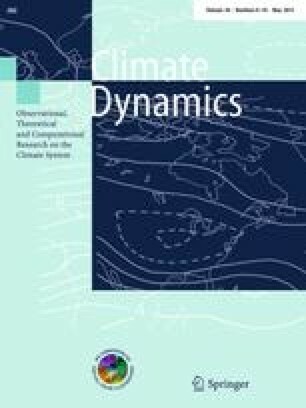 This paper presents and analyzes the three-dimensional dynamical structure of intense Mediterranean cyclones. The analysis is based on a composite approach of the 200 most intense cyclones during the period 1989–2008 that have been identified and tracked using the output of a coupled ocean–atmosphere regional simulation with 20 km horizontal grid spacing and 3-hourly output. It is shown that the most intense Mediterranean cyclones have a common baroclinic life cycle with a potential vorticity (PV) streamer associated with an upper-level cyclonic Rossby wave breaking, which precedes cyclogenesis in the region and triggers baroclinic instability. It is argued that this common baroclinic life cycle is due to the strongly horizontally sheared environment in the Mediterranean basin, on the poleward flank of the quasi-persistent subtropical jet. The composite life cycle of the cyclones is further analyzed considering the evolution of key atmospheric elements as potential temperature and PV, as well as the cyclones’ thermodynamic profiles and rainfall. It is shown that most intense Mediterranean cyclones are associated with warm conveyor belts and dry air intrusions, similar to those of other strong extratropical cyclones, but of rather small scale. Before cyclones reach their mature stage, the streamer’s role is crucial to advect moist and warm air towards the cyclones center. These dynamical characteristics, typical for very intense extratropical cyclones in the main storm track regions, are also valid for these Mediterranean cases that have features that are visually similar to tropical cyclones. EF was supported by the IMPACT2C program (funded by the European Union Seventh Framework Programme, FP7/2007–2013 under the grant agreement 282746) and the WRF simulation have been performed at the GENCI (IDRIS) under allocation i2012010227. SRR acknowledges funding from the ETH Postdoctoral Fellowship Program and the Marie Curie Actions for People COFUND program. The authors are thankful to Sebastian Schemm (ETH Zurich) for his remarks on the detection of conveyor belts. This work was also supported by the IPSL group for regional climate and environmental studies and also contributes to the HyMeX program (HYdrological cycle in The Mediterranean EXperiment) through INSU-MISTRALS support and the Med–CORDEX program (A Coordinated Regional climate Downscaling Experiment-Mediterranean region).